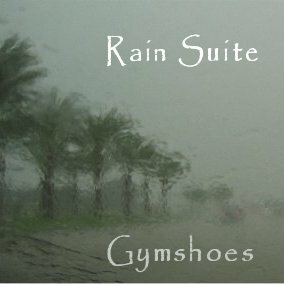 “Rain Suite” is available on 3 EPs from online music stores: iTunes (US, Mexico, Canada, UK, EU, Australia/NZ and Japan), Myspace Music, Amazon mp3, and Rhapsody. We’ve had a lot of rainy days this summer which has inspired this music. Rain Suite consists of two sections, each the length of full song. While I wouldn’t call the music ambient, it’s also not pop, rock or dance. There are some crunchy bits, some rhythmic bits, some melodic bits. Part 1. Lowering Clouds The sky darkening, thunderstorms moving into the area. Rain Suite: Lowering Clouds and Sweet rain edited seamlessly together into a single long piece of music. This is available in the compilation album, 3 EPs, from online music stores: iTunes (US, Canada, UK, EU, Australia/NZ and Japan), Amazon mp3, Napster, and Rhapsody (iLike). Think of it as mood music for an overcast rainy day. I’ve had this project on the burner so long that it’s seen me through a number of rainy days. Riffs and rhythms from this song pop into my head whenever the skies darken and distant thunder rumbles. At the time I was composing this we were having normal rainy days: it’s coincidental that the final mix and release of the music fell around the time of Hurricanes Katrina and Rita. My next project, A Tropical Depression, is specifically about those events.